LiquorWise: Liquor Tax - Does the Finance Minister like Brandy, Wine or Beer? Liquor Tax - Does the Finance Minister like Brandy, Wine or Beer? Liquor Tax - We thought our readers and members might enjoy a more entertaining side to the liquor statistics contained in the 2014 budget, given its somewhat depressing nature. We were suprised to find that the Finance Minister seems to prefer beer to wine and brandy and we have the statistics to prove it! 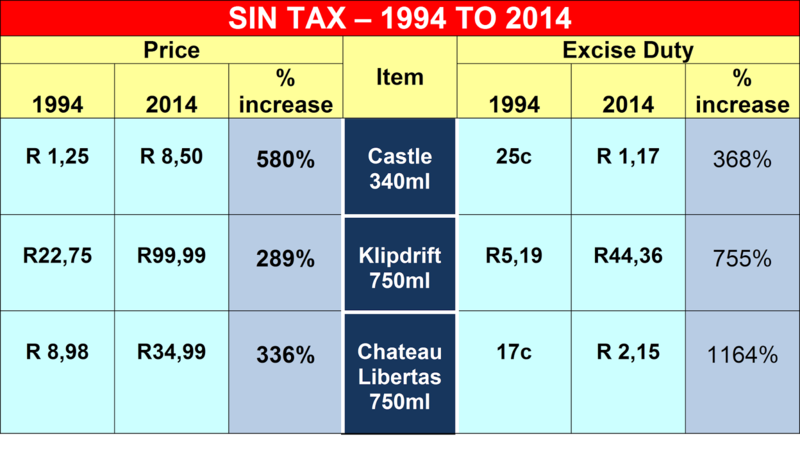 Table A shows that beer has enjoyed the smallest increase in excise duty, compared to brandy and wine, since 1994. 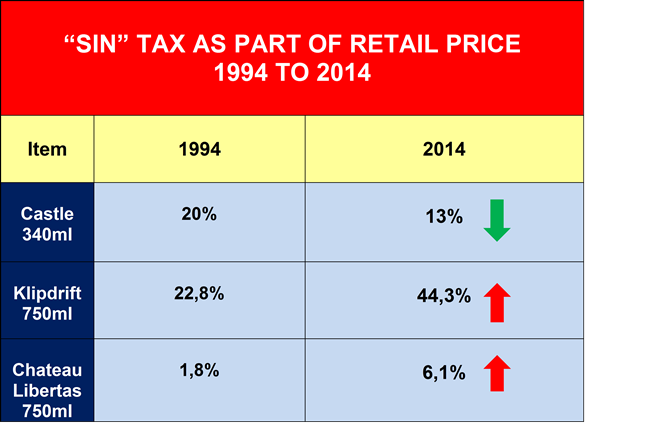 Table B shows that the excise duty as a percentage of the retail price of beer has actually decreased since 1994! Compare this to wine and brandy, which has experienced an increase. Whatever you enjoy, one thing remains certain - you are going to pay more for you favourite drink - and the increase won't necessarily be going to your supplier!